I did not make the effort to see the reproduction Rainier Beer "R" as it was trucked across Seattle on Tuesday. I went over to the site of the old brewery hoping to see it Wednesday morning but it was nowhere in sight. I didn't really expect it to be viewable as I thought it more likely it would be safely warehoused until the raising tonight. 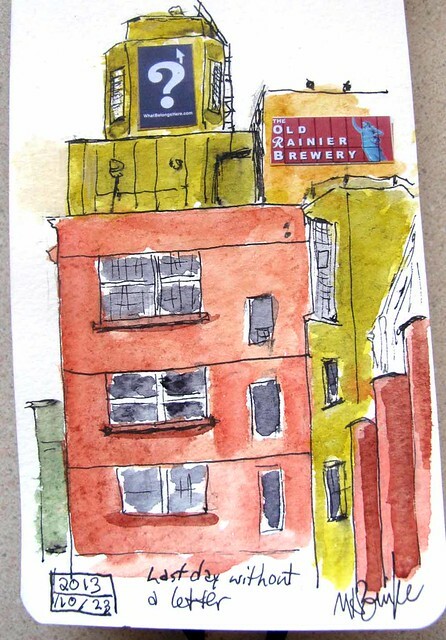 Instead, I sketched the colorful and angular building. The signs are a bit of photo collage. great sketches, Kate! I love how you capture the essence, and keep things clear, i.e.not muddied. See you Friday for sketching! I agree with Peggy. 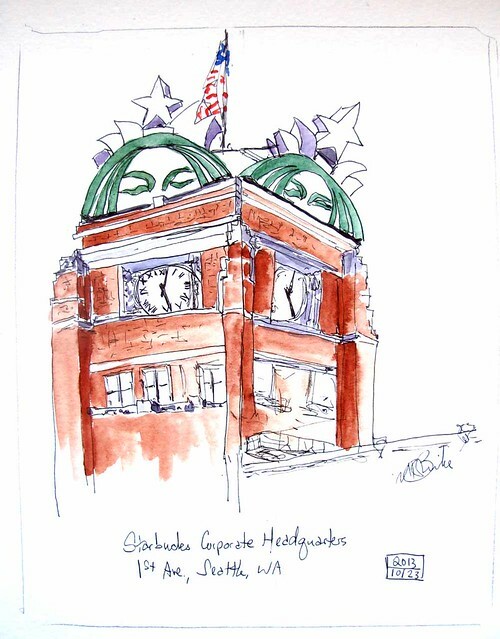 Really nice sketches of significant Seattle landmarks.